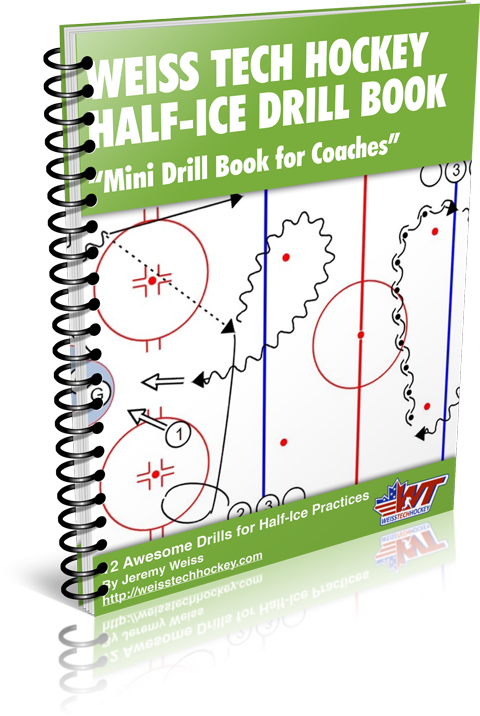 I’ve mentioned this before, but there are a number of skills that can easily be developed off the ice. 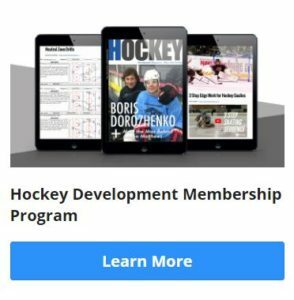 I’m a strong believer that players who don’t take advantage of off-ice training time are leaving precious skill development on the table. 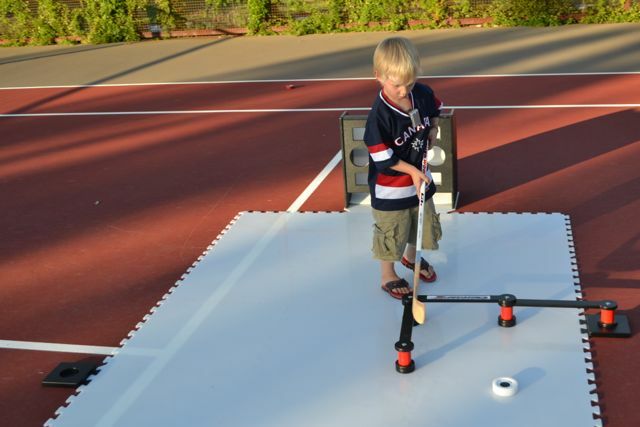 Stickhandling is one of the easiest skills to work on at home. 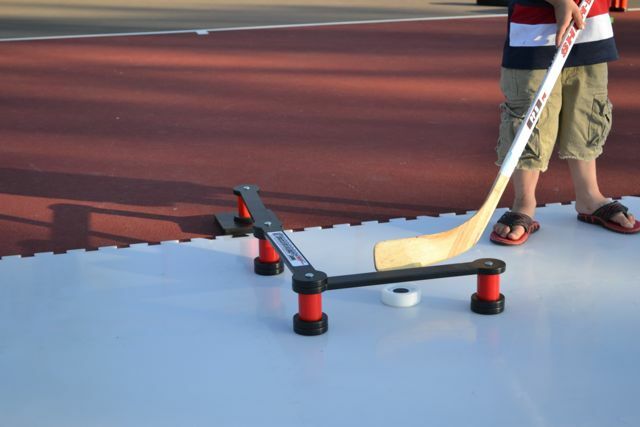 XHockeyProducts has put together a great line of hockey training aids that is both fun and effective, which means players will be more motivated to work on their skills off the ice! 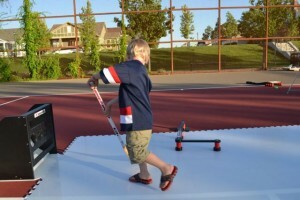 The X-Deviator is a new take on hockey stickhandling aids. 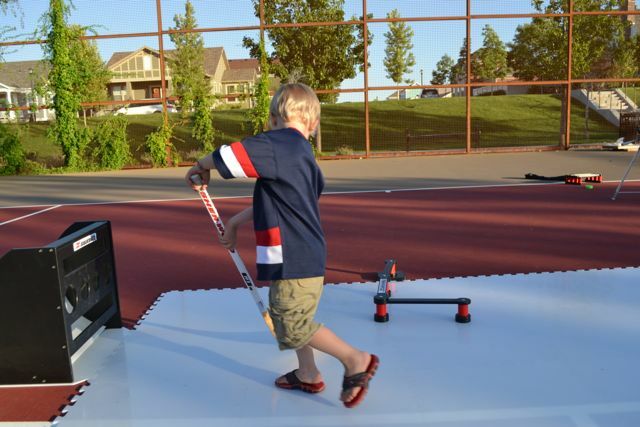 The biggest difference between the X-Deviator and some of the other stickhandling aids out there is that the X-Deviator is adjustable. Each joint on the X-Deviator swivels, this feature opens the door for increased creativity by allowing for an endless variety of configurations. The X-Deviator is available in two sizes; Standard – 7 segments, and Mini – 3 segments. Either can be used on or off the ice. Pick the one that fits your needs and matches the space you have available. The X-Deviator is part of the X-Line-up. All of the products in the X-Line-up are designed to be used together, and can be configured to work on whatever skill you’re looking to develop. If you already have (or plan to purchase) the X-Tiles, make sure you pick up an X-Pocket to go along with your X-Deviator. The X-Pocket will allow you to hook up your X-Deviator right into your X-Tiles system. I’ve been a big fan of XHockeyProducts’ X-Line-up for a long time, and the X-Deviator didn’t disappoint! The concept is fantastic, and the product is well put-together. One minor word of advice would be to make sure to tighten the nuts that hold the segments together from time to time. They can get loose from using the X-Deviator and changing configurations. If the nut falls off, the segments come apart. Not a huge deal, but just something to watch out for. 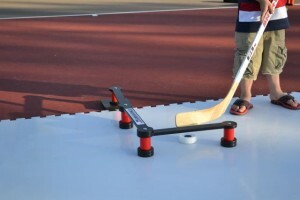 All in all, another great product from XHockeyProducts!